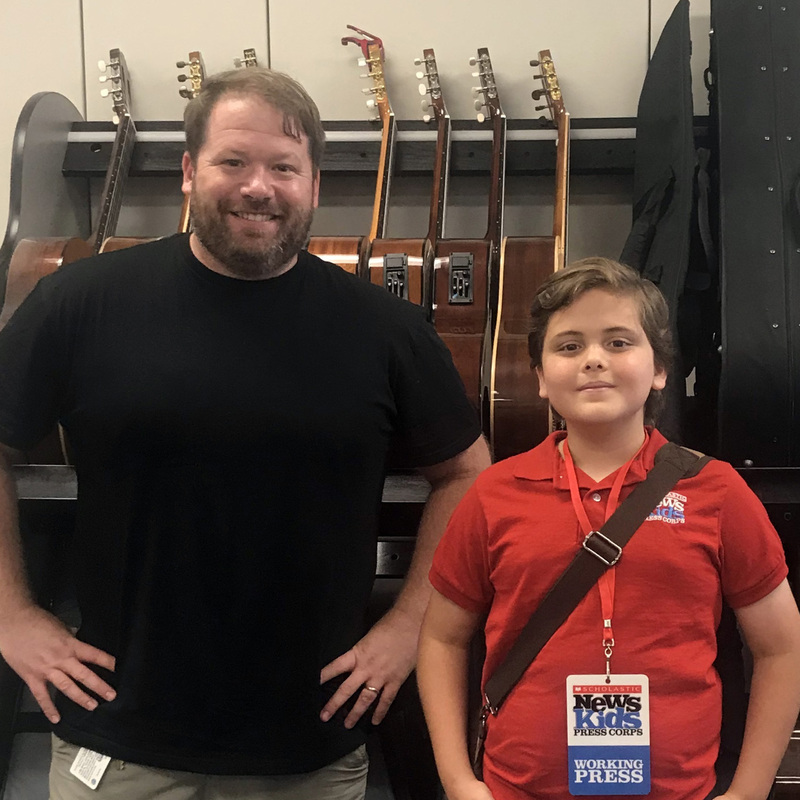 Making Music for Everyone | Kid Reporters' Notebook | Scholastic Inc.
Last month, when students around the country were preparing for a new school year, I visited the classroom of Jeremy Coleman, a former United States Marine who is now a music teacher. Coleman was preparing for a fresh crop of students at his school in Austin, Texas. For the past seven years, Coleman has taught classical guitar at the Texas School for the Blind and Visually Impaired (TSBVI). “Learning music and guitar should be available and accessible to everyone,” he said. He has made it his mission to provide training for differently-abled kids who want to play guitar. The TSBVI was founded in 1856 to provide a specialized education for young Texans with visual impairments. In the early years, students made brooms and other functional products that were sold to pay for the school’s operational costs. Since then, the school has expanded, and hundreds of students from across the state live and learn on campus. The educational focus has shifted from vocational training to academics and life skills. Students also participate in sports, music, and other extracurricular activities. Coleman brought classical guitar lessons to TSBVI in 2011, when he started giving private lessons to students. “Teaching guitar to students with visual impairments has its challenges,” Coleman said. For one thing, the music curriculum has to be translated into Braille. Coleman converts notated music into Braille for his students. Coleman said that after kids leave his program, they often struggle to find opportunities to continue their study of music. For that reason, Coleman and his TSBVI colleagues developed an online program called “Let’s Play.” The software serves as a guide for classical guitar training for students with visual impairments and their teachers. “The program continues to grow and evolve,” Coleman said. He hopes that it will help aspiring musicians with visual impairments continue to develop their skills. That is music to many kids’ ears.